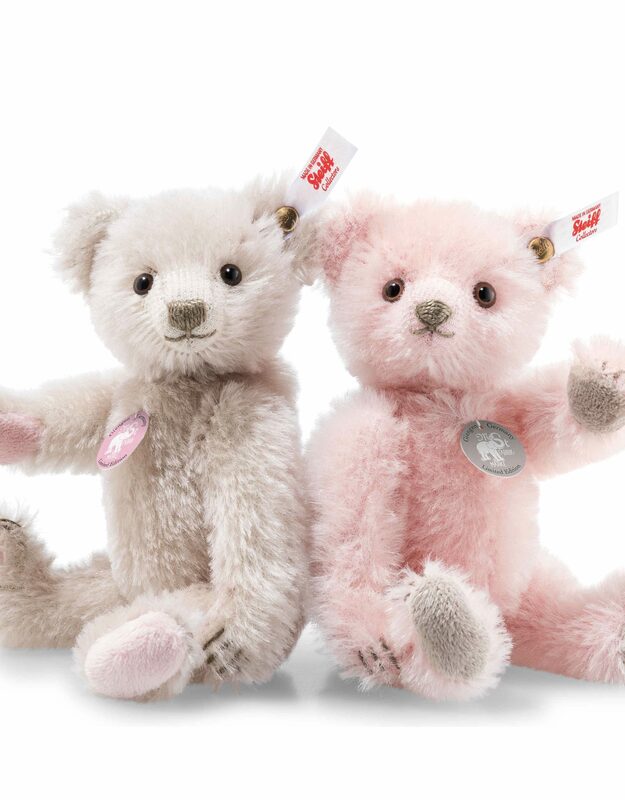 Made to celebrate the Steiff Summer Festival for 2018, these two sweet little bears are made of grey and pink mohair. 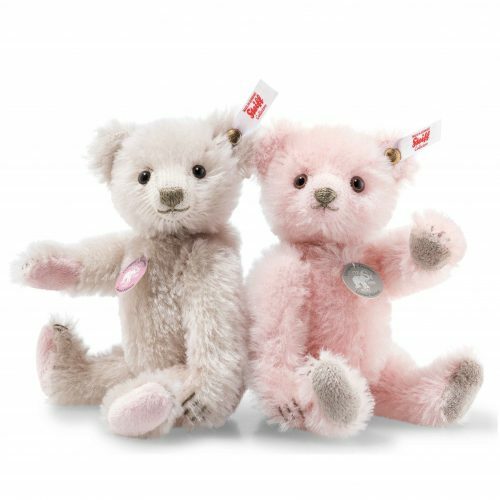 The grey bear has dark brown and black eyes with contrasting pink plush paw pads and the pink bear has light brown and black eyes with contrasting grey paw pads. Both are fully jointed and has a chest tag depicting the Steiff elephant in contrasting colours.